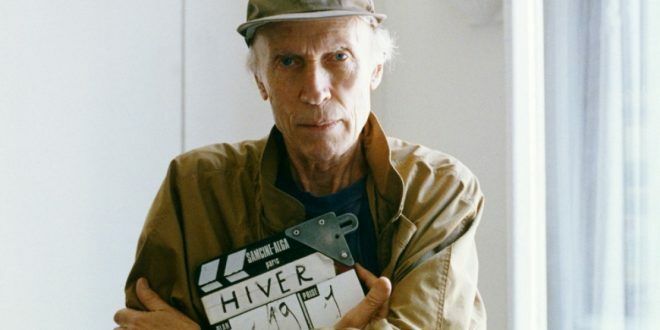 French director, Eric Rohmer, born Joseph Henri Maurice Schérer at Tulle (Corrèze, France) on March 21, 1920, died Monday, January 11, 2010 in Paris (France). Loved or hated (cf. the line “I saw a Rohmer film once. It was like watching paint dry” by Gene Hackman in “Night Moves” by Arthur Penn), Eric Rohmer has left its mark in the world History of film. Editor in chief of Cahiers du Cinéma from 1957 to 1963, foundator with director Barbet Schroeder of the French production company and film distributor Les Films du Losange in 1962, Eric Rohmer has made over fifty films (shorts and feature films, television films and documentaries). From “My Night at Maud’s” (Prix Meliès 1969, Best Screenplay Award at the 1970 New York Film Critics Circle Awards and at the 1971 National Society of Film Critics Awards) to his last film “Romance of Astree and Celadon” (Lion gold at the 2007 Venice Film Festival and Best Male Newcomer Etoiles d’or 2007) after a small detour through “Pauline at the Beach” (Silver Berlin Bear for Best Director at the 1983 Berlin International Film Festival and Prix Meliès 1983),the storyteller Eric Rohmer, dean of directors of the Nouvelle Vague, has often shot love’s delays that leads men and women to philosophize about life.